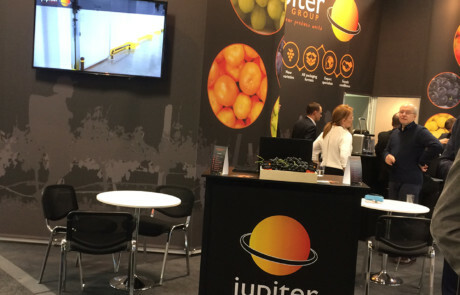 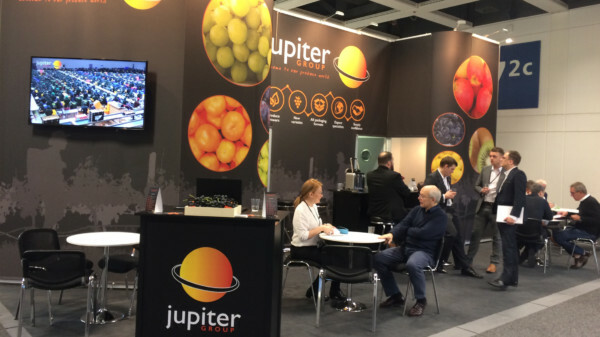 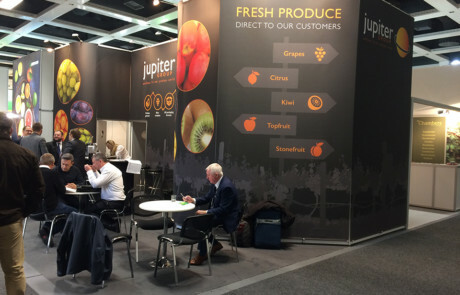 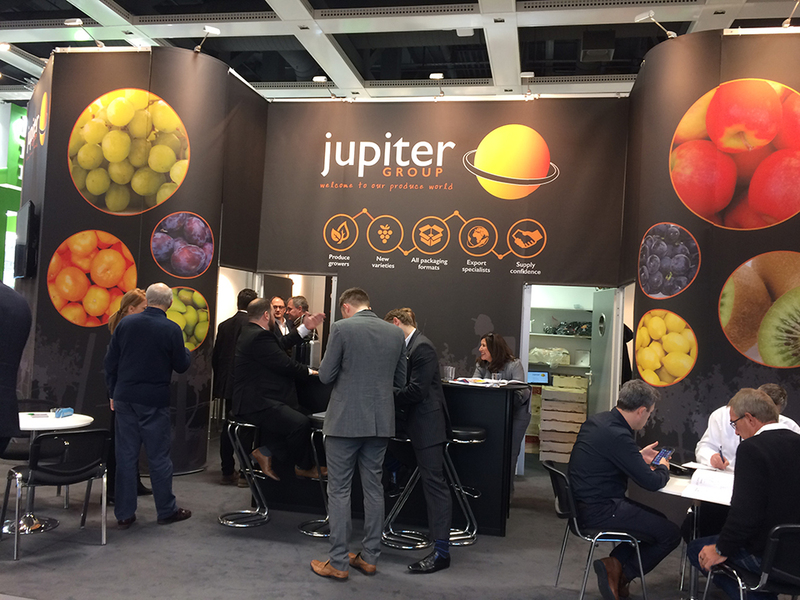 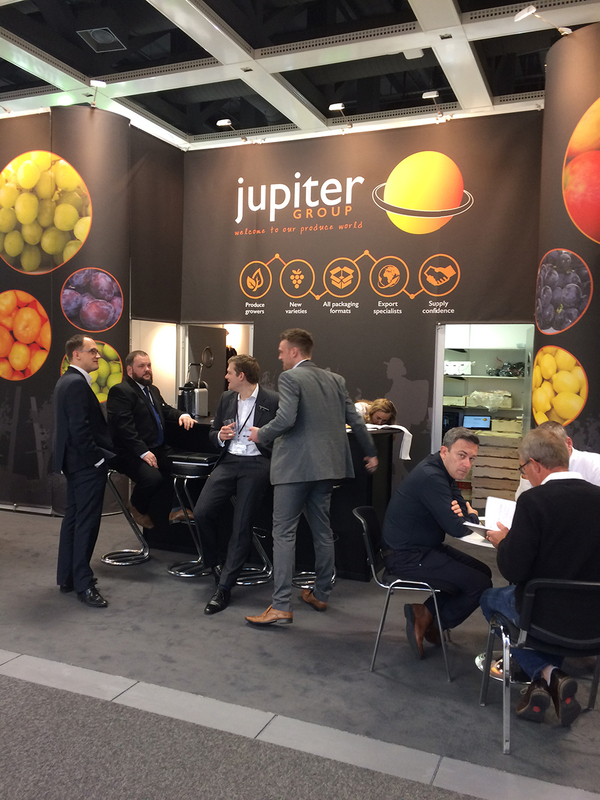 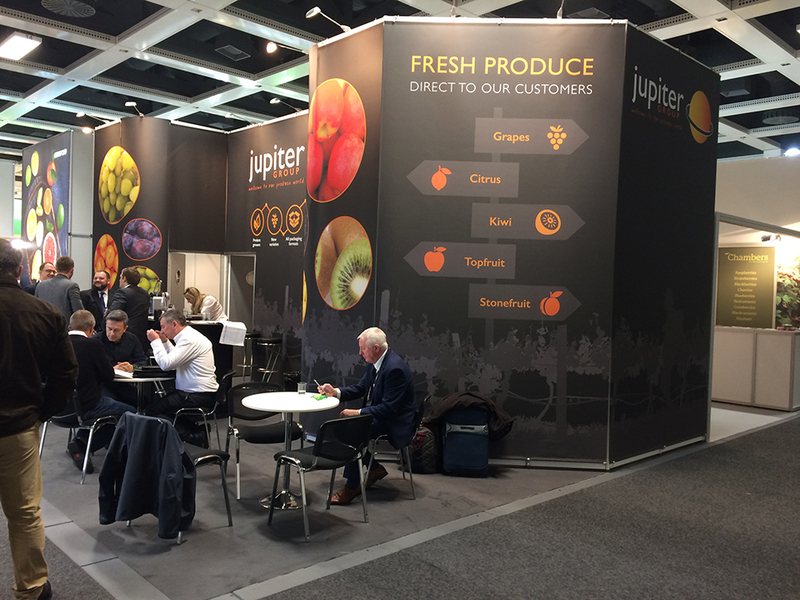 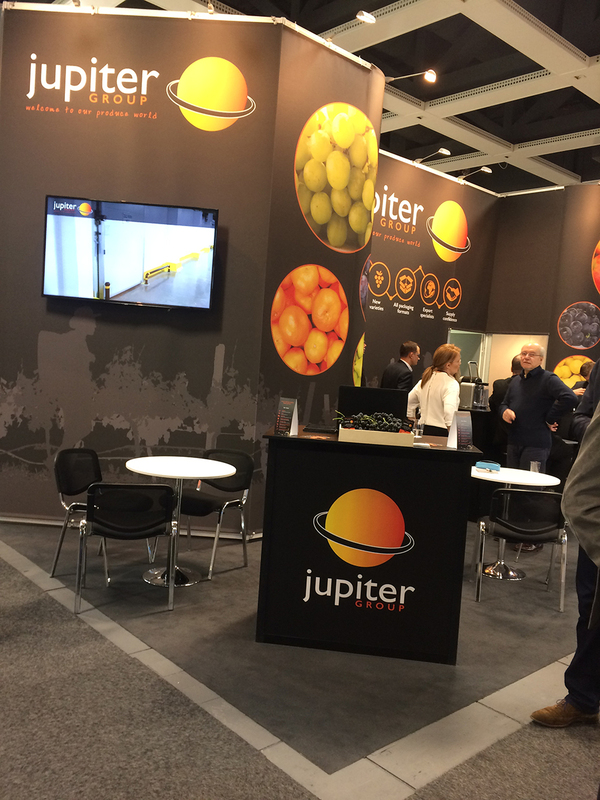 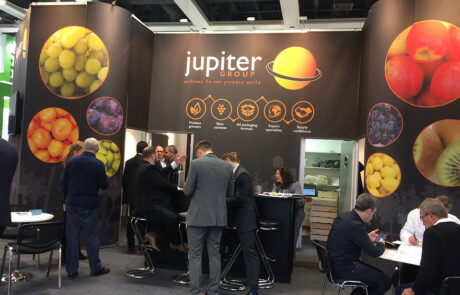 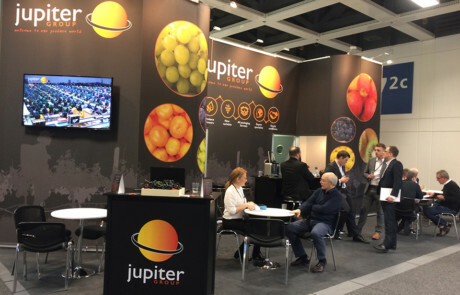 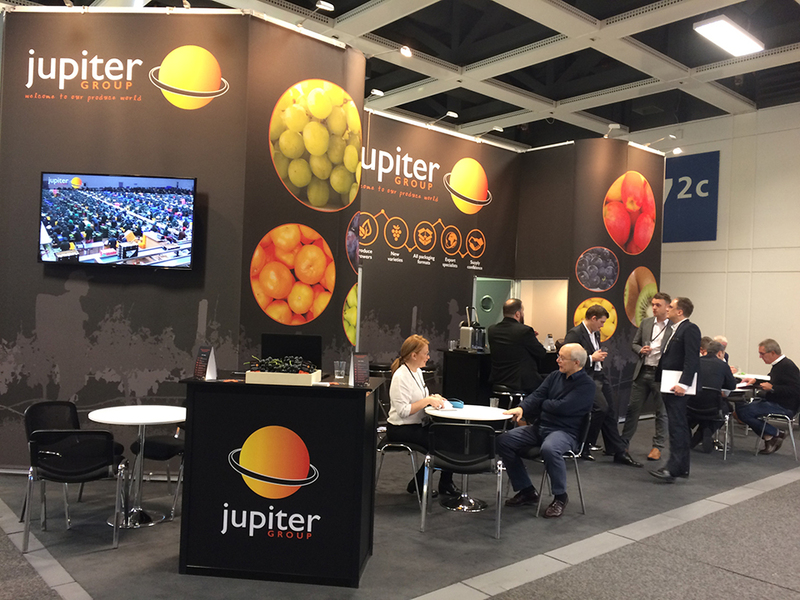 This popular yearly exhibition at Messe, Berlin, is a great time for the Jupiter Group to interact with its international contacts, as well as exhibiting and enticing new potential customers to what the brand has to offer. 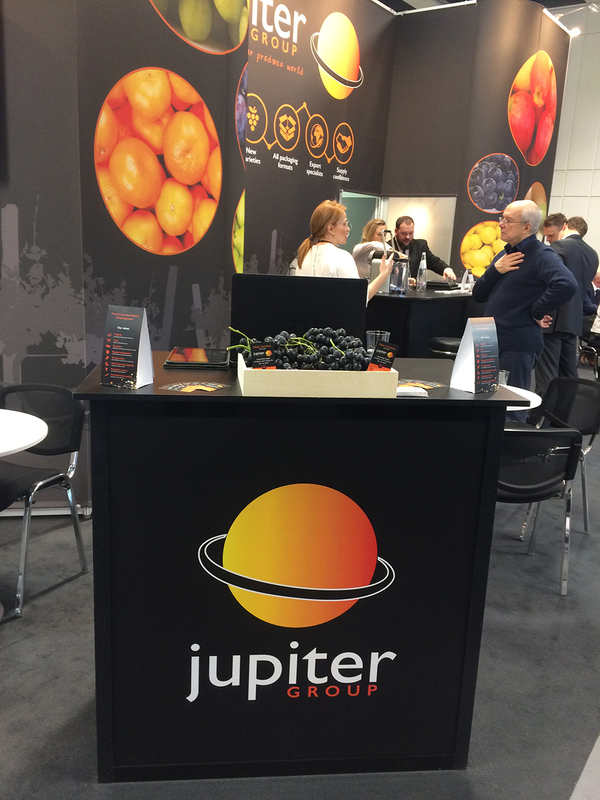 But for 2018 there was a significant upgrade for the firm’s presence at the event with the help of Wotsit Design. 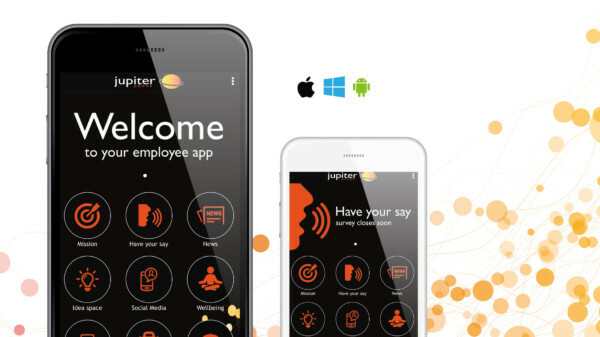 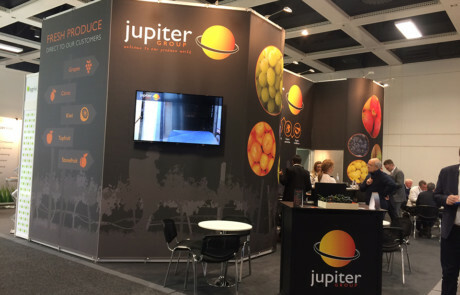 With a wealth of talent and experience under its belt of impressing with a bespoke range of visual resources, Wotsit was able to design and supply Jupiter’s largest ever exhibition stand at the event to date which was also interactive. 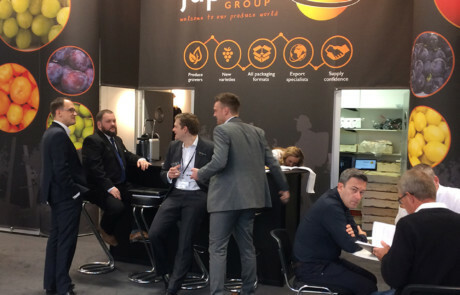 While the firm has been a regular at the exhibition, for 2018 it welcomed in a series of firsts. 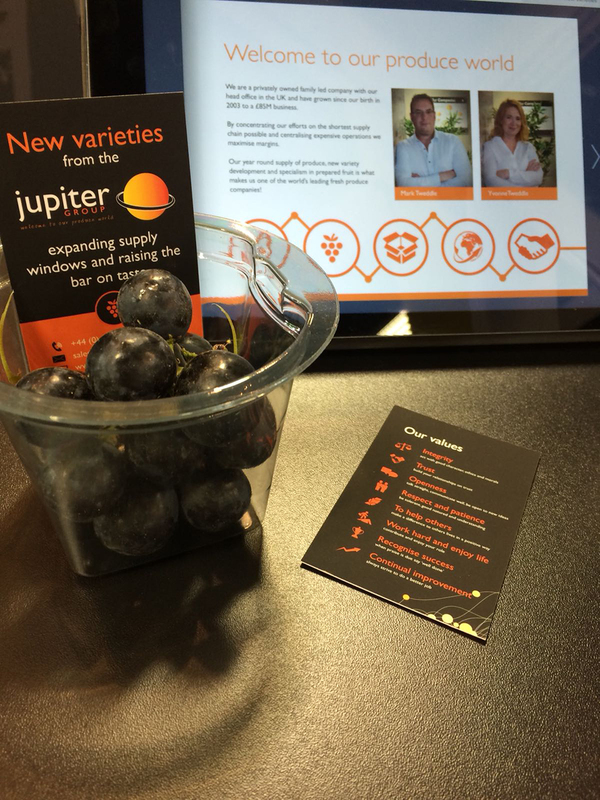 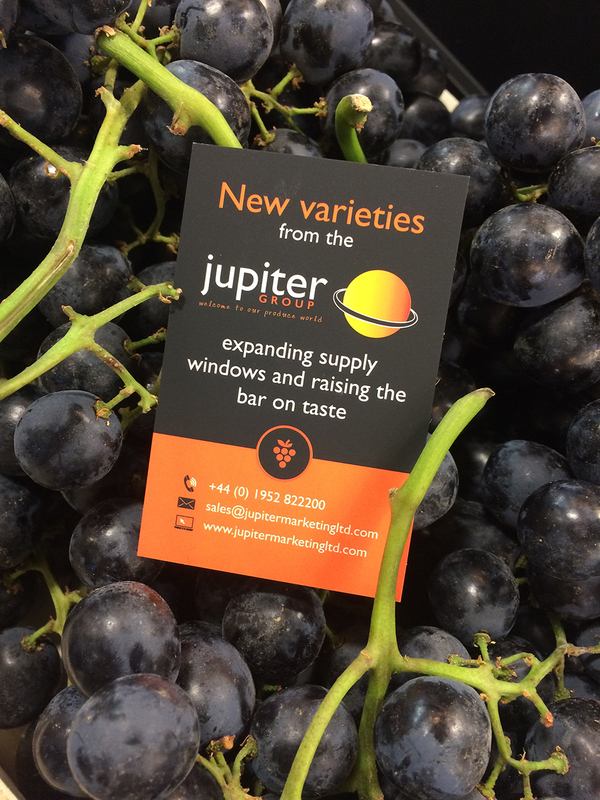 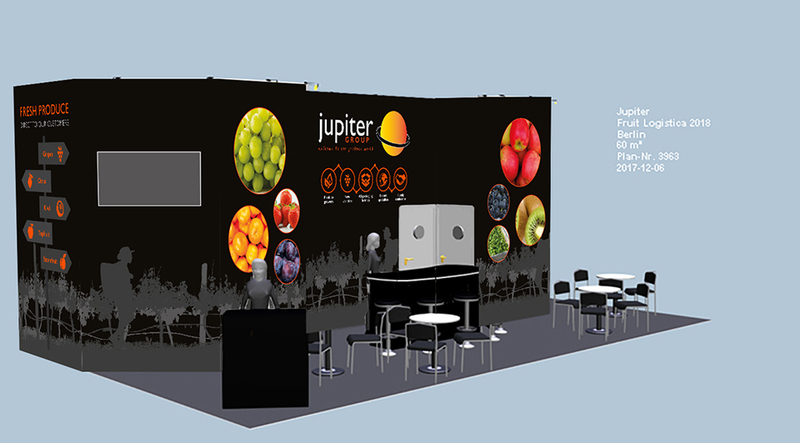 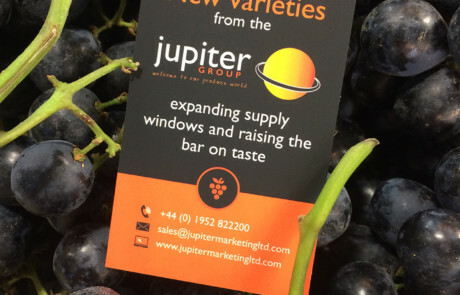 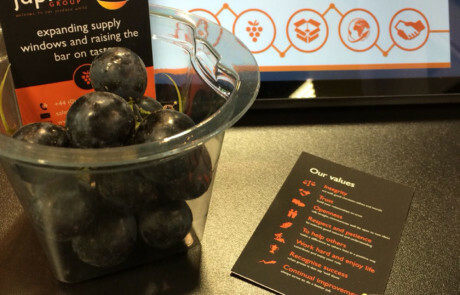 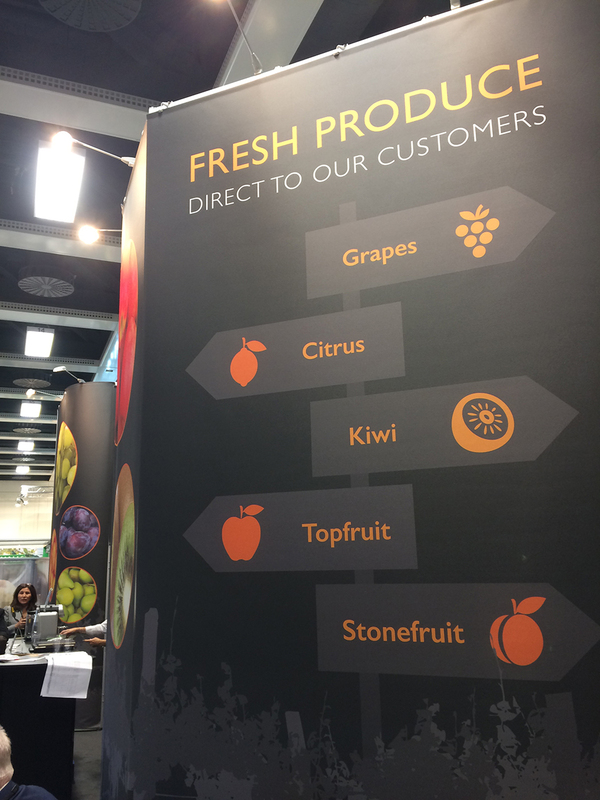 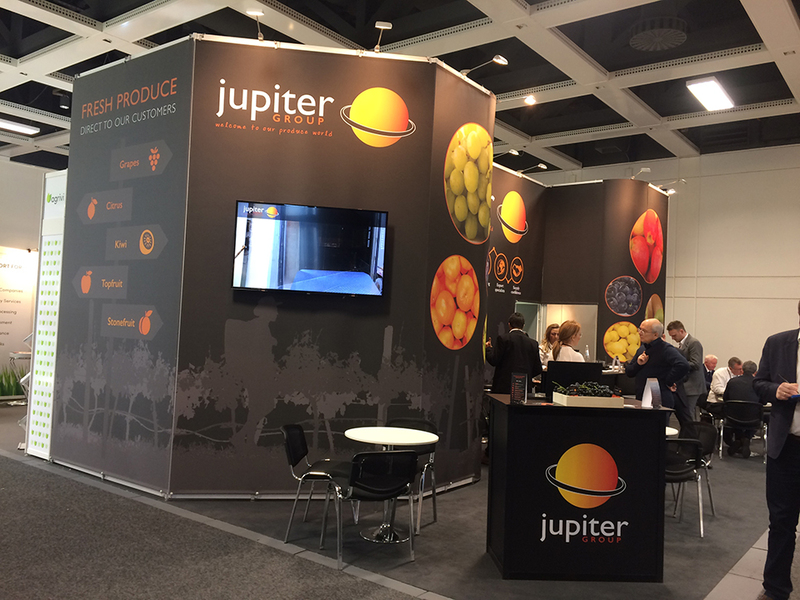 New features included an impressive, independent stand, rigged with three meeting rooms to showcase the new variety of grapes that are now included in the firm’s global portfolio in addition to digitised marketing collateral. 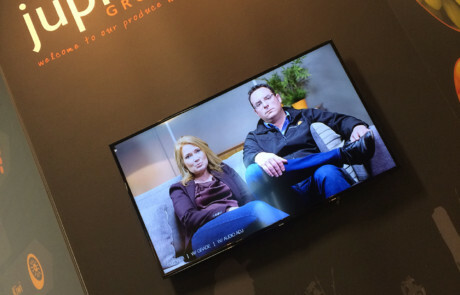 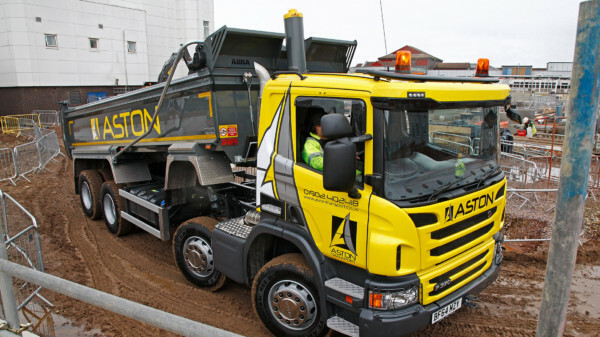 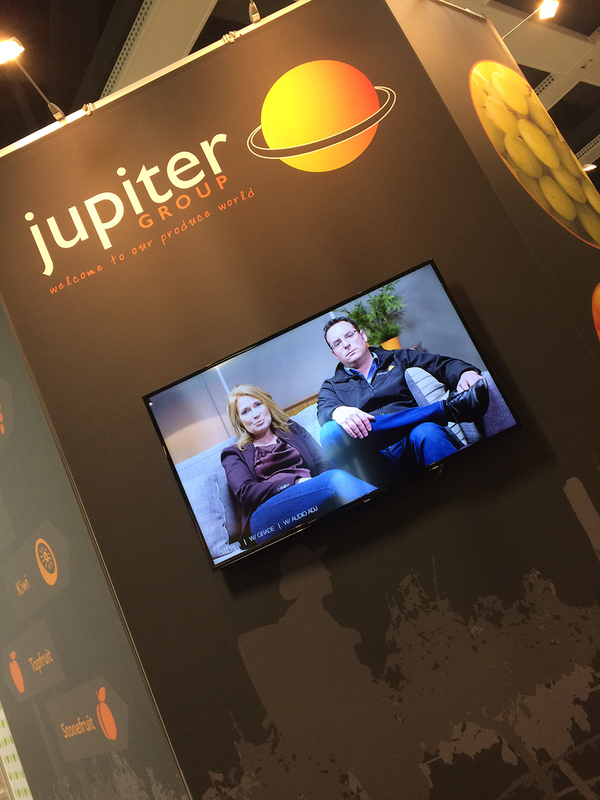 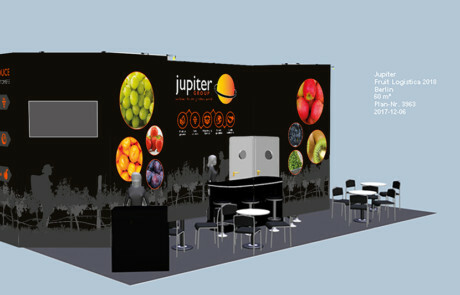 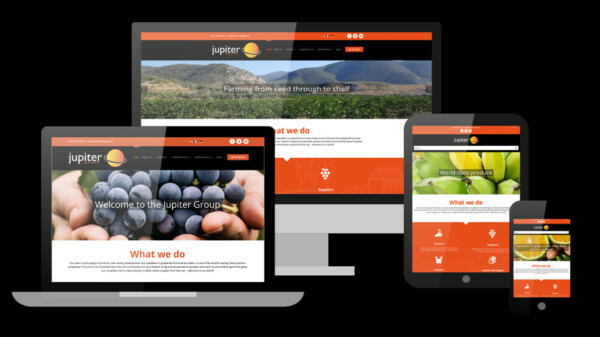 All in all, Jupiter said that as a result of Wotsit Design’s significant input into its presence at the event, its success at the show “felt bigger than ever before”. 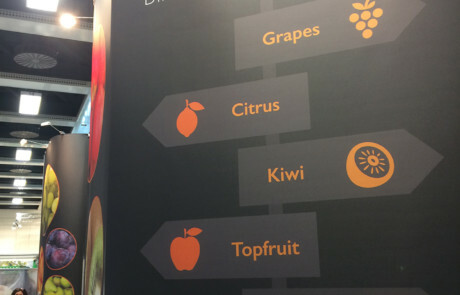 The new look and interactive exhibition set was the brainchild of Wotsit Design’s Managing Director Adam Fleetwood. 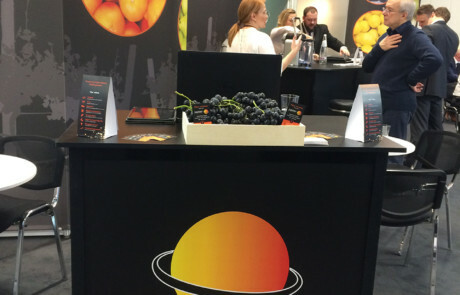 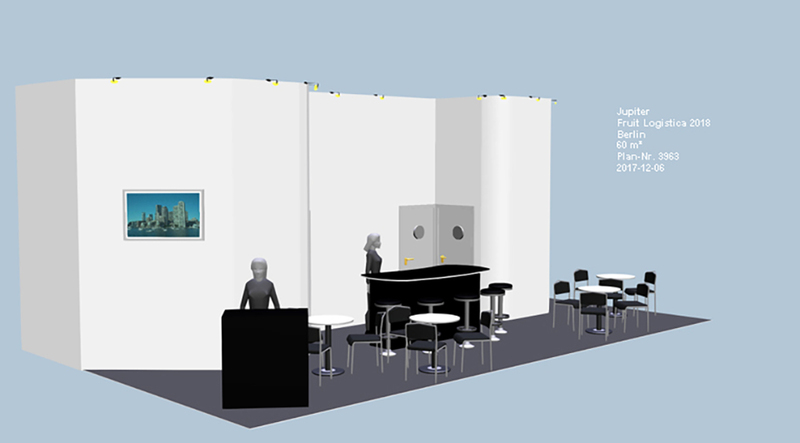 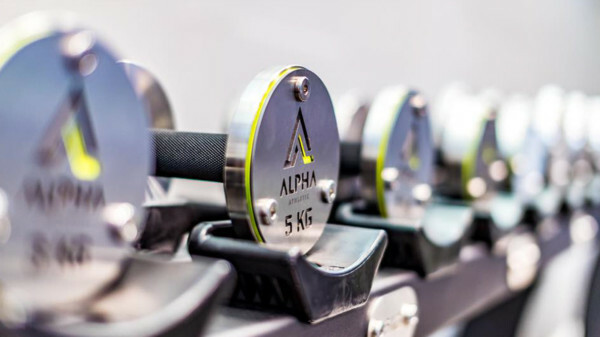 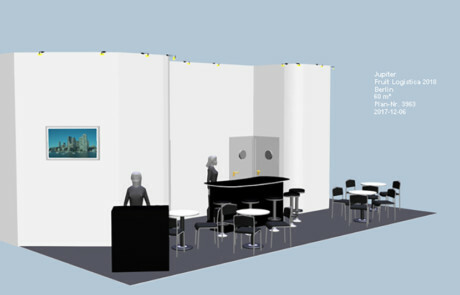 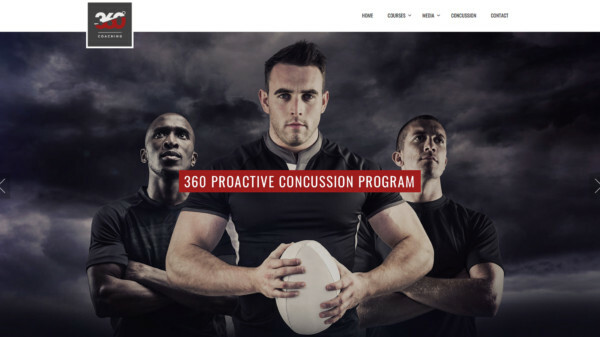 He said: “Following their brand theme the stand looked really smart, stood out from the rest of the exhibitors at the Berlin event and achieved its goal of boosting the interest of visitors.